In efforts to get "Couch Potato" up and moving. 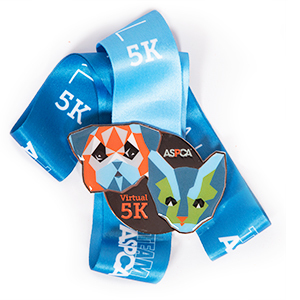 We will be participating in the ASPCA Virtual 5K! Virtual 5K: Participants will be individually completing a 5K by walking, running, swimming no later than Nov 12th. We have set a minimum fundraising goal of $1000. We are excited to be participating and honored to be raising the awareness and the much needed funding to support the ASPCA's programs. Your donation will help the ASPCA provide life-saving programs and services to millions of animals nationwide. The ASPCA is very important to us and we appreciate your help as we fight to give abused and homeless animals a second chance at life. Please support Armor & me by making a donation and help us make a positive impact in the lives of animals!